Drift Wars - In Drift Wars you will be playing online against millions of players enjoying this game all around the world. Drift around our amazing arenas in a great collection of sporting and racing cars all having realistic physics. You want crazy drifting action, we be bring it! Download it for FREE now!! 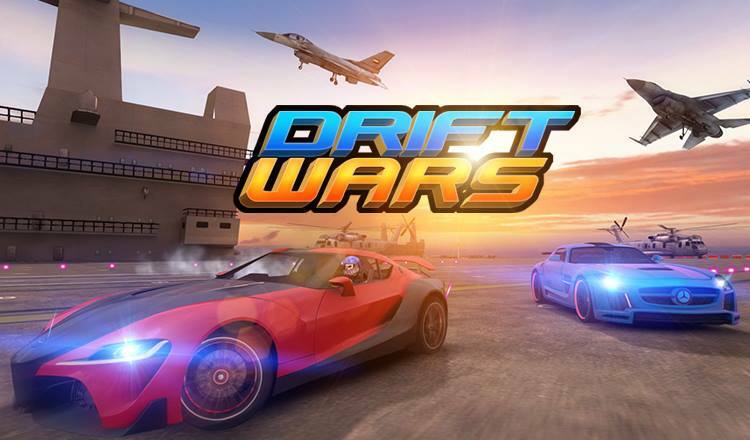 - Step inside the completely new, bigger and better garage.Drift Wars has completely overhauled UI for the game, with new items added to the garage. - Whats more epic than fighting alone? Two words, Drifting Clubs. Gang up and fight with other clubs. Own a club and create your club of unbeaten drifters. And that's not it, practice drifting with your club members. - Get the console quality feel to your hand-helds with MOGA controller. Drift Wars supports MOGA controllers. - Make every cone collection into a show stopping special effect, with explosions, shatters etc. Now, you will never have to look generic anymore. Now your friends can't make any excuses for not having the game in the same platform. Clash and smash cross platform!